(NaturalNews) Largely due to Monsanto's efforts to hide the truth from the public regarding the dangers of glyphosate, many people have no idea of the real extent of the threat posed by what has become the most widely used herbicide in the world – nor do most realize how widespread its use has become within the United States. 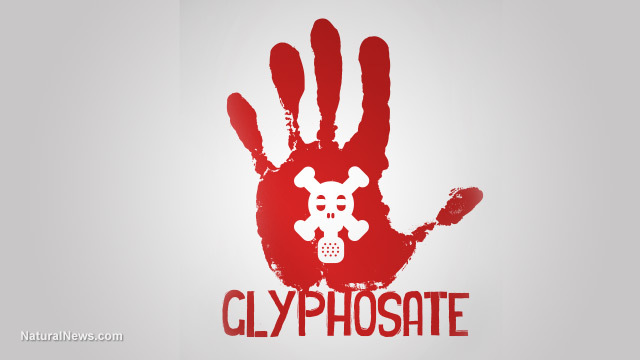 Glyphosate – the main ingredient in Monsanto's Roundup herbicide – is a particularly toxic substance that causes a range of health problems in humans, including cancer, autism, birth defects and at least a dozen other serious illnesses. Roundup has been around since 1974, but sales began to skyrocket after Monsanto developed its Roundup-resistant GMO technology in the 1990s. Since then, America and much of the rest of the planet has been deluged with millions of tons of glyphosate – the most heavily-used agricultural chemical in the history of the world – and 25 percent of it gets dumped on the United States, even though we account for only 5 percent of the world's population. Nearly 2 million tons of glyphosate have been used in the U.S. since Roundup came on the market, and worldwide the total is 9.4 million tons – "enough to spray nearly half a pound of Roundup on every cultivated acre of land in the world," according to Newsweek. Monsanto's glyphosate propaganda – a line which is parroted by the Monsanto-influenced FDA – holds that the substance poses no threat to humans and affects only plants. "Scientists for Monsanto – the most hated corporation in the world – insist that glyphosate is safe because it targets a metabolic system called the shikamate pathway – which humans and animals lack. Yet the trillions of beneficial bacteria in the human digestive tract do have this pathway – and disrupting it can have catastrophic consequences. "In truth: Glyphosate harms critical beneficial bacteria, causing an overgrowth of pathogens, which in turn produce toxic phenols that cause inflammation ... ."
Dr. Stephanie Seneff, an MIT senior research scientist and environmental toxins expert, is known for having documented the link between glyphosate and autism. She also believes that glyphosate is responsible for many other chronic diseases whose rates have soared in recent years, since the introduction of glyphosate. Dr. Seneff labels glyphosate as "the most significant chemical used today," and one that has the effect of a "wrecking ball" on the human body. "Dr. Seneff believes that glyphosate exposure is catapulting gluten sensitivity into epidemic proportions." Aside from its effects on the gut, glyphosate has been linked to liver, kidney, pancreatic, thyroid and colon cancer – as well as ADHD, Alzheimer's, birth defects, brain cancer, breast cancer, diabetes, heart disease, obesity, Parkinson's, multiple sclerosis and more. Meanwhile, the EPA – another agency bribed into doing Monsanto's bidding – continues to quietly raise the acceptable levels of glyphosate in our food supply. Fifty times the amount of glyphosate is now allowed on corn than was permitted in 1996, for example, and the total allowed amount has increased by a factor of 17. And meanwhile, GMO agriculture is wreaking havoc on the environment while also destroying small farmers. The promise of increased crop yields was a lie that failed to materialize, and herbicide-resistant superweeds are threatening the crops of traditional and organic farming operations. Not to mention the honeybees, which glyphosate has been proven to kill. No wonder people are hesitant to face the truth about glyphosate. It indeed boggles the mind to consider the fact that a company like Monsanto has been allowed to legally poison virtually the entire United States and much of the rest of the world without being held accountable for it.